The beleaguered mining industry in Cambodia is once again at the centre of controversy after cyanide—a highly toxic substance used to flush gold mines—was found in a stream in a northeastern province where at least 13 people died and nearly 300 others became ill in a span of days. Minister of Industry and Handicraft Cham Prasidh first revealed on 17 May that cyanide had been found in the stream, but made a strange move later on 24 May when he signed a joint press statement with two other ministries. His ministry, along with the Ministry of Mines and Energy and the Ministry of Health, claimed in the statement that the deaths in Chet Borei district in Kratie province had been caused by the consumption of water contaminated with pesticides and herbicides, as well as high levels of methanol in local white wine. On 25 May, Prime Minister Hun Sen, without mentioning names, shamed those who had made information about the cyanide public without reporting to him first. He also criticised them—essentially, Prasidh—for not sticking to the Ministry of Health’s narrative that the water had only been contaminated by herbicides and pesticides. For Hun Sen’s administration, the presence of cyanide as a potential factor in these deaths simply raises more questions about an industry already plagued with problems. Observers “strongly” suspect that cyanide is behind the deaths in Kratie. 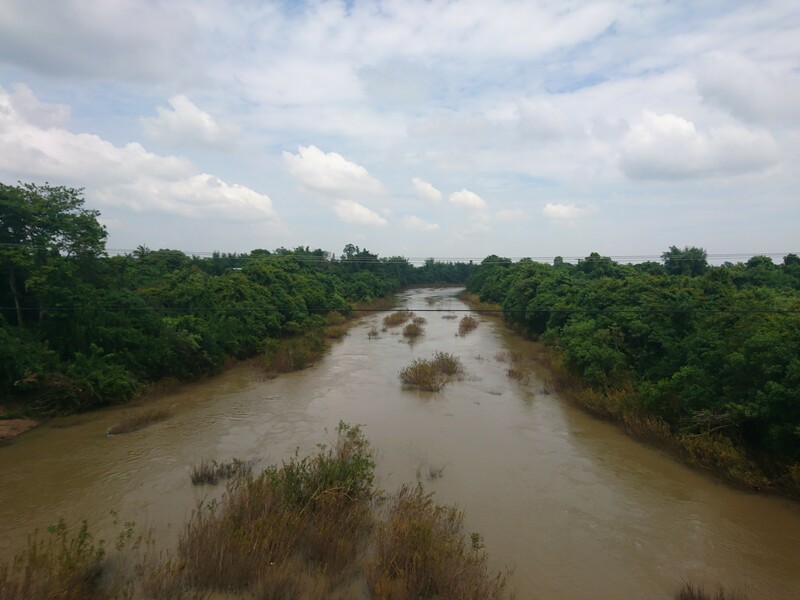 In Prasidh’s initial comments to journalists, he said that his ministry had deployed a team to the area to collect water samples from various points along the stream. Their analysis, he said, showed that villagers had been poisoned by wine and contaminated water, in which officials found chromium and cyanide. Following an investigation, officials identified illegal gold mining operations in the nearby province of Mondulkiri. They also found a box of cyanide, but didn’t specify which company had it. Rong Cheng Industrial Cambodia Co. Ltd was later suspected of being among the mining operations using and disposing cyanide. Cyanide has been used in mining for years, but is “strictly” regulated in most places around the world for the safety of humans, wildlife and the aquatic environment. “Cyanide prevents the body from taking up oxygen, resulting in suffocation, which may be fatal to humans and animals without prompt first aid treatment,” says the website MiningFacts.org. Mother Nature, an NGO which has brought to light other scandals in the country’s mining sector, was able to interview villagers in Chet Borei district, who said the fatal victims—all indigenous villagers—experienced strong headaches, dizziness, shortness of breath and repeated vomiting. “Cyanide and other harmful substances that contaminated the water… not only [affected] people’s health but also… livestock and [the] ecosystem of the river, which can be long-lasting,” says Pech Pisey, director of programmes at Transparency International Cambodia, which has looked into practices of the country’s mining sector in the past. “The effects of [cyanide] have proven to be devastating and it will affect the livelihoods of people who are living in communities” nearby, if not properly cleaned up. Speaking to New Naratif, NGO Mother Nature co-founder Alex Gonzalez-Davidson says that he found it odd that Prasidh was the one to reveal that cyanide was found in the water, while the Ministry of Mines and Energy, as well as the Ministry of Environment, have not said much. “[It] is possible that [Prasidh] was bullied into back-pedaling and keeping quiet on the issue, most likely as a way by the government to try and solve the problem internally, in a way that the reputation of the Hun Sen dictatorship is not further affected,” he says. According to Hang Channy, governor of the Chet Borei district, the death toll has reached 13, although locals estimate that up to 18 died. Another 280 villagers have recovered after receiving treatment. Villagers were urged not to use water from the affected streams, and to avoid drinking white wine. In his early comments to the media, Prasidh had warned that actions by the government were “forthcoming,” especially against illegal mining operations. So far, though, government officials have remained tight-lipped when asked for clarification or updates on the Kratie case. Several officials didn’t respond to multiple requests to provide basic details, such as a breakdown of how many people died from contaminated water versus poisonous wine, the name of the laboratory in Singapore where victims’ blood samples were tested, and whether any of the victims underwent official autopsies and toxicology examinations. Multiple calls and requests for comment went unanswered by Yos Monirath, spokesman for the Ministry of Mines and Energy. Tin Ponlok, an official with the Ministry of Environment, had spoken to the media prior to Prime Minister Hun Sen’s blaming comments, but now says he’s not in a position to comment. He referred questions to ministry spokesman Sao Sopheap, who in turn failed to respond to requests. Ly Sovann, the spokesman for the Ministry of Health, would only refer the joint statement and prior press releases on the deaths. He did not respond to a message asking if officials were being pressured not to speak on the case. The Pasteur Institute in Cambodia, which typically performs laboratory testing for the Ministry of Health, was not involved in this case, according to director Didier Fontenille. It’s unclear why the Ministry of Health sent the samples to be examined in a lab in Singapore. Cambodia’s mining sector has been embroiled in scandals that experts have said were due to corruption and the government’s failure to regulate the industry. In 2016, United Nations trade data showed USD752 million of sand imports to Singapore from 2007 to 2016, while Cambodia’s figures only reflected about USD5 million in exports during that time. In 2017, Mother Nature engaged a Singaporean law firm to look into whether any Singaporean laws had been broken in relation to sand imports, but has since decided not to pursue the case after Singapore halted sand imports from Cambodia. The Singaporean government has denied any accusations of illegally importing sand. In September 2017, Mother Nature exposed a similar discrepancy of more than USD30 million in imports of silica sand into Taiwan that Cambodia had not recorded. The only two companies licensed to export silica sand are owned or chaired by tycoons and ruling party senators Mong Reththy and Ly Yong Phat. Both are closely connected to Hun Sen.
A large-scale gold mining operation in Preah Vihear province has been encroaching on indigenous villagers’ lands, but is guarded by soldiers from the Royal Cambodian Armed Forces. The operation has been allegedly linked to Hing Bun Heang, commander of Hun Sen’s Personal Bodyguard Unit. Meanwhile, Hun Seng Ny, Hun Sen’s youngest sister, is alleged to be behind an adjacent operation. Villagers have told Mother Nature they suspect those operations are also using cyanide. Six miners—including four in Kratie province—died in a span of a few months in 2017 due to the government’s failure to oversee mining operations and halt illegal activities. In the same year, a number of villagers in Kandal province, near the capital Phnom Penh, lost their homes or portions of their homes after several riverbank collapses near an area where four companies are engaged in sand dredging. In this latest case of cyanide in the water, Gonzalez-Davidson says documents obtained by Mother Nature indicate that no companies are licensed to extract gold near the contaminated stream. There was no legitimate reason for cyanide to have been used in the area. “So, if cyanide had been found, as some officials say was indeed the case, then of course top government officials will try and ensure that this is not made public,” he says. While cyanide’s role in the deaths remains questionable, Gonzalez-Davidson says other troubling aspects of the mining industry are certain. “What we can say for certain is that the mining industry in Cambodia is rife with corruption, is a major cause of environmental destruction, and that it is seldom, if ever, done in a way that local communities or the state sees any benefits, as most of the extraction is conducted under the façade that only exploration or prospecting is taking place,” he says. In 2017, a firm hired by Transparency International Cambodia to assess the country’s mineral exploration licensing process found 14 gaps that could potentially lead to risks of corruption and malpractice. One of those risks was that the application evaluation committee only consists of Ministry of Mines and Energy officials, who aren’t required to declare any potential conflicts of interest with the companies applying for licences. Pisey, with Transparency International Cambodia, says there are several actions that the government can take to clean up the mining sector, such as having robust legal frameworks and guidelines in place to safeguard the sector and provide an equal level playing field in the industry. Only credible companies with proven technical capacity and financial resources should be given licences. “The only way the country of Cambodia can ever achieve a properly regulated mining sector, one that exists primarily to achieve higher standards of living for all Cambodians, [is] for the current government to take a step back and allow a new generation of politicians to take over,” he adds. It doesn’t look like this will happen any time soon. With the country’s only viable opposition party—the Cambodia National Rescue Party—forcibly dissolved last November, the upcoming election in July is a sure-win for Hun Sen. And, as the lack of answers over these deaths in Kratie has shown, it is likely to be business as usual for the problematic mining industry. Yesenia Amaro is a freelance journalist and former Phnom Penh Post reporter. Before joining the Post, she covered social issues and immigration for the Las Vegas Review-Journal, where she was named journalist of the year in 2015 by the Nevada Press Association and also won the organisation's community service award. Follow her on Twitter at @YeseniaAmaro. Sengkong Bun, formerly with the Phnom Penh Post, is a Cambodian freelance journalist, fixer and translator based in Phnom Penh. He is a winner of an award from the Society of Publishers in Asia for excellence in reporting. Follow him on Twitter at @sengkong_bun.